Nervous Breakdown what is it? What is a Nervous Breakdown or Mental Breakdown ? Nervous breakdown and mental breakdown are very outdated terms still used by the lay person typically describing emotional or physical stress that makes someone unable to function in day-to-day life. 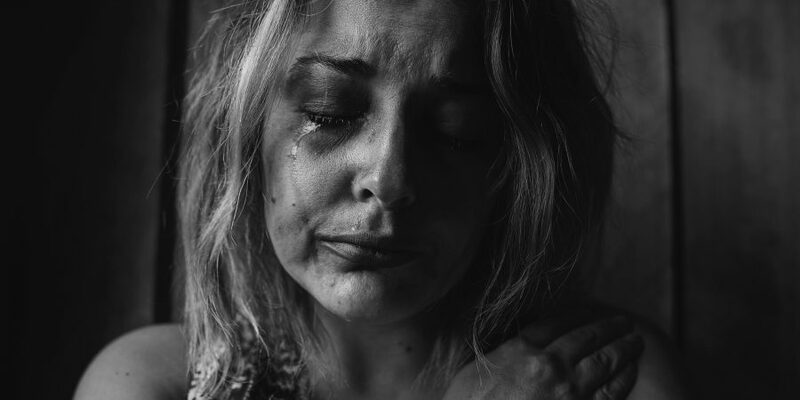 Though once used as umbrella term for a wide range of mental illnesses, mental health professionals do not use the term “nervous breakdown” or “mental breakdown” or “emotional breakdown” to describe any specific medical or psychiatric condition. There is no such diagnosis in the DSM-V nor the ICD-10. The symptoms of a so-called “nervous breakdown” vary widely between individuals. Medically speaking, there is no such thing as a “nervous breakdown”. Treatment for a nervous or “mental breakdown” depends on the cause or multi-causes and risk factors (i.e. etiologies). Nonetheless, a so-called “nervous breakdown” remains as a presentation underlying many mental health conditions, such as depression, anxiety, psychosis, or post-traumatic stress disorder (PTSD). The signs and symptoms of what some people may still call a “nervous breakdown” depend on the underlying medical and/or psychiatric condition. It is no longer a recognized medical term, so, technically, there is no way to diagnose using the term: “nervous breakdown” or “emotional breakdown” . Doctors of mental health: Clinical Psychologists and Psychiatrists will try to identify contributing causes and/or medical problems that may be contributing etiologies to the so-called “nervous breakdown”. These doctors will ask questions about symptoms and signs, conduct a BioPsychoSocial examination, review an individual’s medical history, and order tests. What it takes for a person to be considered “fully functioning” differs across cultures, religions or belief systems, and even families. Lack hygiene and grooming, often due to people forgetting or not being motivated to clean and groom oneself. Difficulty focusing, impaired attention, and/ or remembering recent events or recent conversations. There are a few things that may help reduce symptoms of emotional breakdown and physical stress. Additionally, most of the treatment option interventions for a nervous breakdown also help prevent the condition. Deep breathing and meditation to support mental and physical relaxation. Exercise daily at least 30 minutes of moderate-intensity. Set up healthy hygiene, sleeping, and eating schedules. Avoid the excessive use of caffeine, alcohol, and nicotine. Avoid junk food (processed food) and eat clean (fruits & vegetables). Take multivitamin and drink plenty of electrolyte water and drink probiotics (e.g. Kombucha) daily. Anything that causes more emotional and physical stress than the body and mind can handle can lead to a nervous breakdown or trigger an underlying medical condition. They are causative and correlational MindBody. There are certain situations, genetic factors, and experiences that are more commonly associated with nervous or mental breakdowns than others. It is a good idea to talk with a doctor (psychiatrist and clinical psychologist) who specializes in mental health anytime physical or emotional stress interferes with day-to-day life, routines, or activities. Early intervention is key. Prevention is also key. However, often people experiencing so-called “nervous breakdown” are not able to recognize the extent of their symptoms or that they may need help. Unfortunately, many people are reluctant to seek outside help for mental conditions out of fear that they will be judged (i.e. Stigma). They may also think that what is happening to them is somehow their fault, or that there are no treatment options available. However, this is not true. If a loved one, friend, or roommate is showing several of the signs of a “nervous breakdown”, they should be encouraged to seek mental health assessment by a psychiatrist or clinical psychologist and be provided the support to do so. I appreciate so much the comprehensive information provided. You have quite a library of articles in your Blog section. Thank you for providing so much free information.